I loved TV, so to enjoy the adventures of (the bionic) Steve Austin or Jim Rockford or Fonzie and the Cunninghams, I had to endure the obvious social-engineering messages that reminded me I was an outsider. Then along came David Letterman. Steven Kerzner TV creator, producer, writer and 'father' of Ed the Sock. I am sad to see David Letterman end his 33-year run on late night TV. I feel a palpable loss, though I haven't watched him regularly for over 15 years. To understand why I'm affected by Letterman's retirement, you'll have to bear with me. I spent my earliest formative years in the 1970s, when Jews in Canada were still the "other" and the WASP majority tolerated us the way you might tolerate a guest you don't really like but have to be cordial to due to codes of decorum -- which were very important to WASPS in the 1970s. I knew the "welcome mat" for non-Christians was just an insincere sheen of civility and manners. This made some of my Jewish friends want to assimilate -- it had the opposite effect on me. I was glad to not belong to a society that was so evidently phony. In those days, Pre-Internet (PI), television set the tone for what kind of behaviour was "correct" for good people -- good people being white, middle-class and Christian -- and thereby establishing what kind of behaviours minorities needed to adopt to become good people...just not quite as good. I loved TV, so to enjoy the adventures of (the bionic) Steve Austin or Jim Rockford or Fonzie and the Cunninghams, I had to endure the obvious social engineering messages that reminded me I was an outsider. Then along came David Letterman. Here was one of the "good people" joyfully exposing the hypocrisy and rigid structures of the "good people" -- and he was using TV, their behaviour modification machine, to do it. Not just exposing the BS, he was thumbing his nose at it and rebelling against it in ways that mirrored my "outsider" attitudes. Dave was my man on the inside. Substitute "Jewish" with any number of other groups and individuals who felt like the turd in the punch bowl and you understand why Letterman was so important to so many people. He was the voice of the underdog, a CHUD made good, he made the un-hip hip and exposed the "good people" structures as arbitrary, archaic and insincere. Emboldened by Letterman's beachhead, many young comics -- people who by their nature live one step outside polite society -- were inspired to share their honesty on stage, radio, TV, wherever an audience would listen. And the world has never been the same. My world was certainly forever changed. Without Dave's barnstorming, I doubt that Canadian broadcasters would have given a second look to a show I created starring a puppet named Ed, which ran 14 years and some have told me similarly affected their relationship with TV as a medium. 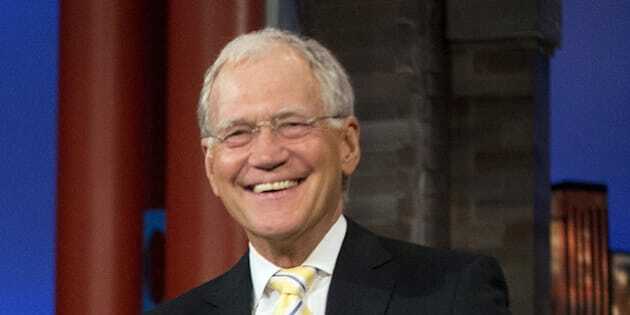 I think the new sense of legitimate inclusiveness taken root in society today owes a debt to David Letterman for spending late night hours showing that the Emperor had no clothes, and no bite. So, more than just an entertainer, David Letterman's shows represent a substantial shift in popular culture and the subsequent change in popular attitudes. Thank you, Dave, for being the incorrigible cynic who made the world a better place.